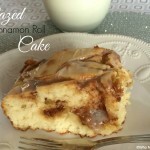 Get the coffee pot started because you must have a cup with this scrumptious Snickerdoodle Sour Cream Coffee Cake. Wonderful dessert for entertaining. Years ago before Pinterest, I would crack open a cookbook from time to time. One in particular that always inspired me is my Silver Palate cookbook. It has some very fancy dishes, and some “oh, I can attempt that” dishes. 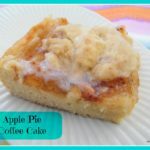 If you take that cookbook off the shelf now and flip through it, you’ll land on the page that has this amazing coffeecake recipe. That cookbook has been opened & laid out so many times during the years to that exact page that it just knows where mama wants to go. 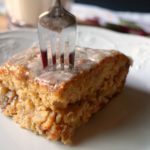 As I’ve eluded to before with my Snickerdoodle Bars, our family enjoys Snickerdoodle flavors, I mean c’mon…cinnamon & sugar goodness, what’s not to like? So no big surprise but this cake has a ribbon of cinnamon & sugar goodness in the center & a final layer on top making it a Snickerdoodle in cake form. 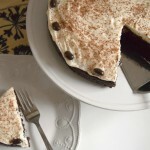 You’ll have a hard time resisting this cake, it is super moist and delicious. I’m not a fan of dry cake, and this one never fails me! In a large bowl cream butter and 2 cups of the sugar. Add in eggs one at a time, until well blended. Add in sour cream and vanilla, mix until blended. In smaller bowl, combine flour, baking powder & salt. Gradually add dry ingredients to wet ingredients, do not overmix. In a separate bowl combine remaining sugar and cinnamon, stir to mix. Pour 1/2 of batter into bundt pan, sprinkle with approximately 1/2 of cinnamon/sugar mixture. Add remaining batter and then remaining cinnamon/sugar mixture. Bake for approximately 55-60 minutes, depending on your oven. Cook at least 30 minutes before serving. I’ve got that book, I think I should have a flick through to see what other yummy treats are inside. Your cake looks so yummy. I love cinnamon. Visiting from The Weekend Re-treat. I think I will take a breakfast do over and have this instead of my waffle. I think my Honey would love this!! It looks delicious! G’day! 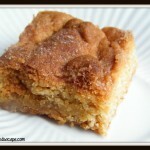 Have very fond memories of coffee cake in childhood! YUM! 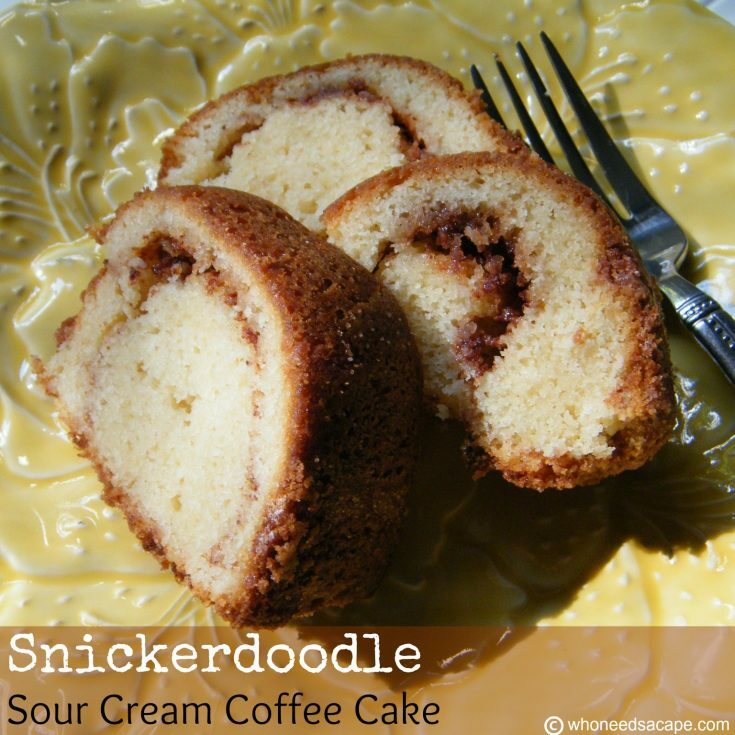 We LOVE Snickerdoodle around here and I can just imagine how wonderful it would be in coffee cake form! Thanks for the great recipe idea! YUMMY! This looks scrumptious! I love cinnamon and the swirl looks like the perfect amount! This cake looks so moist and delicious. We love snickerdoodle flavors as well.